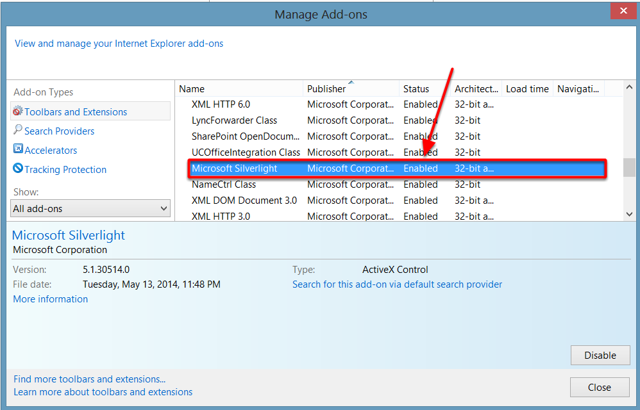 This article describes how to enable Microsoft Silverlight in Internet Explorer. Use if you are repeatedly prompted to install Silverlight or if you are unable to install the out of browser version of TC2000 on a PC. Make sure Silverlight is set to enabled in Internet Explorer. 1. 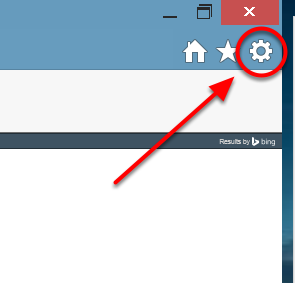 Click on the "Tools" or "Settings" icon. 3. 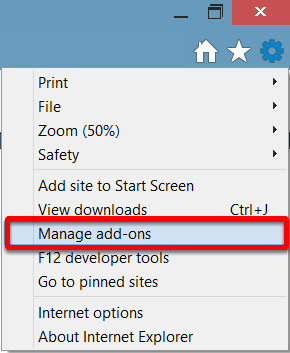 Select "Toolbars and extensions". Zoom: 3. 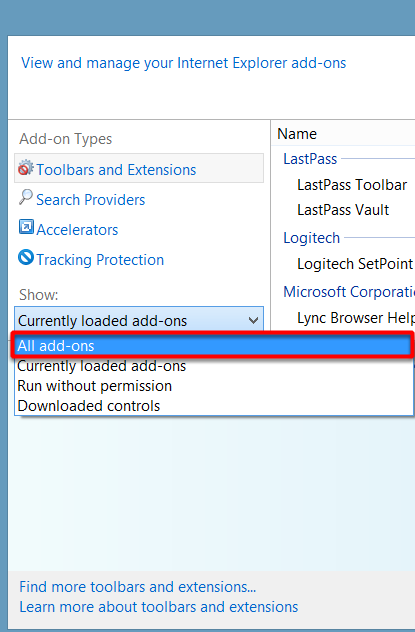 Select &quot;Toolbars and extensions&quot;. 4. Set Show: to "all add-ons"